Is it a green dinosaur or a yellow one? Your student won't know until he's worked the appropriate addition problem. 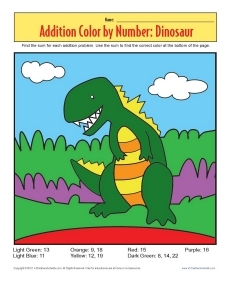 This fun color by number page combines coloring with some basic math practice.